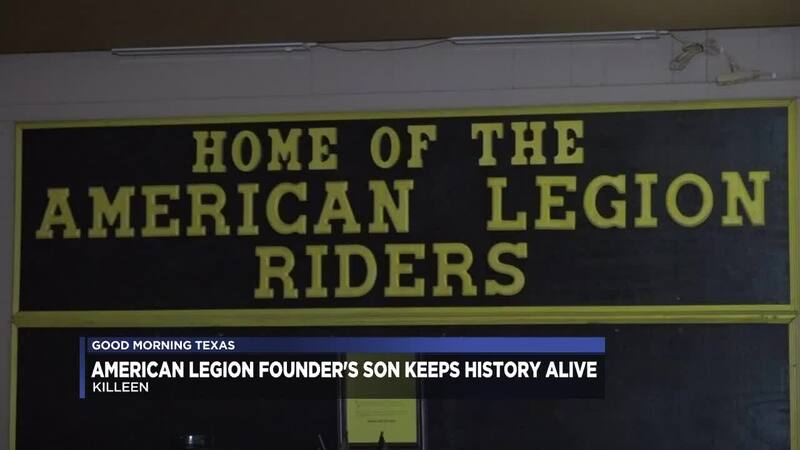 KILLEEN, TX — American Legion Post 223 is celebrating the organization’s 100th anniversary. Members in Killeen marked the occasion with a party featuring live music and a pot luck supper. "It’s actually the home for the veterans. Not only for the veterans its for the active duty. It honors them, what they did for our country. This is the place where they can come, talk about - especially with the veterans - they can talk about time in the military. And then talk to the young soldiers around here, and let them know their experiences," said Andrea Pink, Canteen manager of American Legion Post 223. The organization is the nation’s largest veterans service network. It was formed on March 25, 1919, in Paris by veterans who believe in defending and serving our country their entire lives. Their mission is to keep the time-honored values upheld in the service through mentoring youth and sponsoring patriotism. "My father was in WWI and they were in Paris waiting for transportation back to the states. That’s when they all got together and formed the American Legion exactly 100 years ago today," said James Irby, WWII Veteran fighter pilot. The American legion is part of his legacy, but also an integral piece to his daily life. "In many ways its one of the few organizations that cater to veterans," said Irby. The celebration was held at the American Legion Post 223 from 2 p.m. to 6 p.m.